It's Illustration Tuesday. 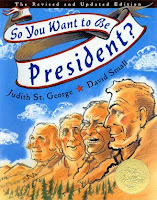 David Small is an illustrator, and sometimes writer, of picture books and more. The "more" is especially his autobiographical graphic novel Stitches, here, published last year to much acclaim. His books are here. An interview is here (scroll down to find it.) While Stitches is a book for much older/adult readers, he's done lots of lovely books for the picture book crowd, several written by his wife, Sarah Stewart. 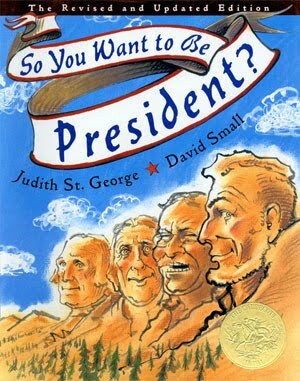 Oh, and he won the Caldecott, too, for So You Want to Be President. What a guy.